At some point in our lives, we have likely been reminded to 'sit up straight.’ Whether you sit most of the day or are continually moving and lifting, proper work ergonomics and posture may prevent or decrease your neck and back pain. Good posture reduces strain on your muscles and joints. Ergonomics “deals with designing and arranging things so that people use them easily and safely” (Merriam-Webster Dictionary). A good ergonomic office chair should be adjustable, support your hips and back and be tailored to your specific needs. When sitting, try to keep your feet flat on the floor with your back supported and shoulders relaxed. Adjust the height of your chair so that your knees are at or below your hip level. Keep your head aligned with your spine. When sitting for a prolonged period of time, take regular breaks to walk around and stretch. If your job requires you to be on the phone much of the day, consider using a headset. • Keep your back straight and bend with your knees. • Keep the load close to your body and turn by moving your feet, not twisting your back. • Get assistance if the load is too heavy or awkward to lift alone. It’s back to school time, and one of the items on your shopping list will likely be a backpack. Getting the right one and wearing it properly is important for your child’s posture. Choose a pack that’s appropriate for your child’s size; a large pack will encourage overloading. Vinyl or canvas are good choices for materials, and lots of pockets make organizing easier. The pack should be light weight and should have wide adjustable straps, including a waist or hip strap. Once you’ve got that backpack, teach your child how to pack it, lift it and wear it. One of the biggest issues with backpacks is overloading. Only pack what is needed for that day. The full pack should not weigh more than 10 to 15 per cent of the child’s weight. For example, a 40 kg child should carry 4kg to 6kg. Teach your child to pack the heaviest items close to the body, and distribute the weight evenly. They should place the pack on a waist-height surface to put it on, then slip each arm through the shoulder straps. Adjust the straps to be snug but not too tight, with the pack centred on the back. Use the waist or hip strap to distribute the weight. Lastly, avoid carrying it slung over one shoulder. If you’re not sure how to fit your child for a backpack, visit Aim Rehabilitation Centre for assistance. The staff have experience assessing and treating children and can advise on issues of posture and ergonomics. People often associate chiropractic care with adjustments of the spine, but it involves much more than that. Chiropractors assess, diagnose and treat conditions related to the spine, nervous system, and joints. They use a variety of treatment methods to facilitate recovery. Chiropractors also educate patients about injury prevention, nutrition, exercise, lifestyle, as well as promote health and wellness. In Ontario, Chiropractors are regulated by the College of Chiropractors of Ontario. They are highly trained professionals who have completed a university degree, a four year Doctor of Chiropractic program, as well as passed rigorous provincial and national licensing examinations. You may wish to consult a chiropractor if you are experiencing pain from; a work related injury, car accident, fall, sport activity, poor posture, improper lifting, gardening and more. What to expect on your first visit to a chiropractor? A chiropractor will perform a comprehensive assessment, provide a diagnosis and develop a plan of management for your injury or condition. Treatment programs are individualized for each patient, based on specific needs and nature of the problem. A chiropractic treatment may include joint adjustment, mobilization, and soft tissue techniques. It may also include; modality therapy such as electrical stimulation, ultrasound, laser and acupuncture, as well as rehabilitative exercises and education. What exactly is physiotherapy? Many people use the term “physio” without fully understanding what it means. Physiotherapy is any service that is provided by a trained and licensed physiotherapist. The physiotherapy scope of practice includes assessment and treatment of musculoskeletal, neuromuscular, and cardiorespiratory systems. Physiotherapists use a variety of treatments to facilitate rehabilitation and recovery. They also educate patients on how to prevent injuries and promote health and fitness. In Ontario, physiotherapists are regulated by the College of Physiotherapists of Ontario under provincial legislation. They are highly trained professionals with at least one university degree, who have passed rigorous provincial competency examinations. A physiotherapy treatment may include joint mobilization or manipulation and soft tissue techniques. It may also include modality therapy such as electrical stimulation, ultrasound and acupuncture, as well as rehabilitative exercises, education and more. Other areas of treatment may focus on neurological or cardiac rehabilitation. Treatment programs are individualized for each patient, based on specific needs and nature of the problem. This patient-centered approach is aimed at maximizing recovery and returning the patient to optimal state of health. You may not be familiar with the term kinesiology; that is not too surprising considering that this is a newly regulated health care profession. 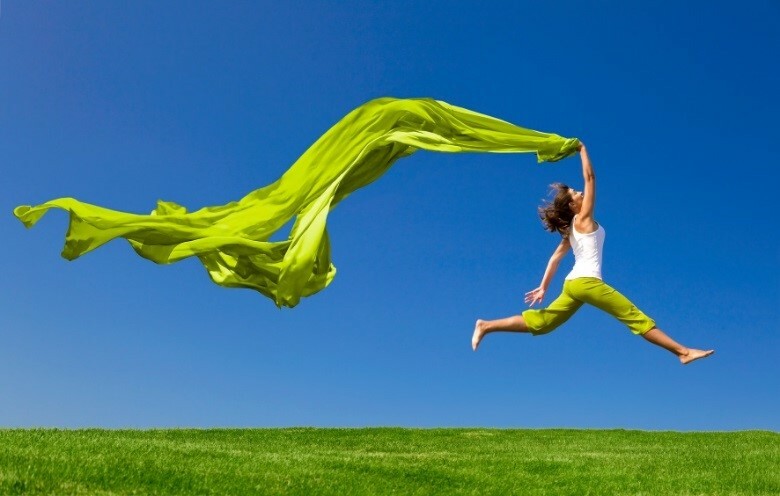 Kinesiology is the study of human movement, function and performance. Kinesiologists use scientific research in the areas of biomechanics, anatomy and physiology to aid in the prevention of injury, improvement of function, performance and overall health. These university trained professionals may work with other health care providers, such as physiotherapists and chiropractors, to help you recover from injury. Kinesiologist assist in the prevention and management of injury and chronic diseases, by promoting appropriate physical activity. They can help you improve physical performance, health, overall quality of life, and achieve your personal health goals. They also work to improve cardiovascular fitness, strength, balance, and flexibility. Consulting and working with a kinesiologist can mean faster recovery time, less pain and discomfort, and a better understanding of human movement and function. Kinesiologists also study ergonomics, and can help analyze your working environment to maximize comfort, efficiency and minimize demands on the body. They promote healthier, safer workplaces, and improve work performance. At Aim Rehabilitation Centre, Registered Kinesiologist Grace Gondek, has focused her attention on physical rehabilitation, personal training, sport specific training, weight loss, enhancement of physical performance, and education. She has over 20 years experience in the health and fitness industry. Grace works in conjunction with the team at Aim Rehabilitation Centre, in a client centered, multi-disciplinary approach. Registered Massage Therapists are trained, caring professionals, who use a variety of massage techniques to decrease pain, improve function, and relax the entire body. Massage therapists optimize health by hands-on manipulation of soft tissues. This includes muscles, tendons, ligaments, joints, and connective tissue. You should consider massage therapy if you are experiencing tension or pain in the body resulting from injury, illness, or stress. Pregnant women benefit from massage, as their bodies are going through change and growth. Other conditions that may be helped by massage include anxiety and depression, Multiple Sclerosis, Fibromyalgia, gastrointestinal disorders, carpal tunnel syndrome, headaches, and insomnia. Massage therapy can help you heal and enhance your quality of life by reducing or eliminating pain, improving joint mobility, circulation and immune response. It may also reduce tension within muscles and increase body awareness. What to expect on your first visit to a registered massage therapist? A massage therapist will take a personal history, assess your condition, and propose a treatment plan specific to your needs. Massage therapy treatments may include a variety of techniques such as: trigger point therapy, swedish massage, deep tissue massage, lymphatic drainage, PNF, hydrotherapy, and remedial exercise. If pain, chronic or acute, is keeping you awake, consider seeking help. Aim Rehabilitation Centre offers a variety of services which may ease your pain and help you get a good night’s sleep. 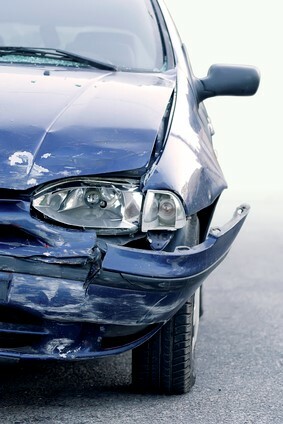 If you have been in a motor vehicle accident and sustained an injury you are entitled to treatment, according to the Financial Services Commission of Ontario, which regulates automobile insurance. Have all injuries assessed, even if they seem to be minor. Don’t assume you will recover on your own; ignoring what seems to be a minor injury could lead to a longer recovery. A minor injury could be a strain or sprain, a whiplash injury, abrasions or lacerations, or partial muscle or ligament tears. For these, you are entitled to up to $3,500 in rehabilitative therapy. More serious injuries, such as neurological impairment, fractures, spinal injuries or complete muscle or ligament tears, could give you a maximum of $50,000 in benefits. These benefits become applicable after any employee extended health benefits have been exhausted. After an accident, visit a qualified physiotherapist or chiropractor for a complete assessment of your injuries. This assessment may include filling out a questionnaire, answering questions about the accident and looking at any x-rays, ultrasounds or MRIs that may have been done. In addition, a physical assessment will be done, determining pain tolerance, muscle strength, flexibility, range of motion and other factors. Treatment may include manual therapy, application of ice/heat, ultrasound or electrical stimulation therapy, as well as progressive exercises. These exercises, done both at the rehabilitation facility and at home, will gradually and gently improve your function and reduce pain, while increasing strength, movement and flexibility. Aim Rehabilitation Centre has access to a wide range of services and can take a multidisciplinary approach to your care. Physiotherapy, chiropractic, massage therapy, and acupuncture can work together to maximise your recovery. Winter has come in with a vengeance this year, and we have several more months to go. During this time, you should keep in mind the proper way to go about activities as you cope with ice and snow, to avoid falls and injuries. Proper ergonomics as you shovel snow, scrape ice, and walk on slippery surfaces can keep you safe and well. Some factors that determine how well you deal with winter’s demands include overall strength, and particularly core (abdominal) strength, balance and flexibility. In addition to your physical condition, proper clothing and footwear are critical to staying safe outdoors. Staying warm will ensure your focus is on how you are moving. Footwear should be warm, stable and have excellent grip. Posture is key, especially when shovelling snow. Keep your back straight, and use your knees to bend, not your back. Use your core muscles to stabilize you as you move. Avoid twisting movements with your torso. Breathe out with pushing and avoid holding your breath. Move slowly and take frequent breaks. Know your limits; stop and go inside when you become fatigued. Injuries can happen more easily when you’re tired and not paying attention. Walking on snow and ice can result in slipping and falling, with potentially serious injuries. It requires strength in your legs, core, and good balance. Footwear is important; strap-on cleats are inexpensive and may be worth the investment. Take your time and don’t rush – better to be late than not arrive because you’ve fallen! If you do suffer a winter fall or other injury Aim Rehabilitation Centre can provide you with a wide range of physical rehabilitation services, including physiotherapy, chiropractic, massage therapy and acupuncture. They can work with you to improve your flexibility, strength and balance, to help prevent winter injuries. They can also help you recover from injuries that may have happened. Winter isn’t all snow storms and scraping ice; it can be a lot of fun! Many of us enjoy our winter sports, such as hockey, skating, skiing, snowboarding, sledding and tobogganing. Getting outside and staying active in the winter months makes winter a lot easier to take. It is important to take precautions to prevent injuries while enjoying your outdoor time. Sprains, strains, muscle and ligament tears, knee injuries and shoulder dislocations can take all the fun out of winter sports. It may mean spending these months recovering and in pain, instead of out having fun. Dressing appropriately for the particular sport is essential for winter safety. Warm, water-resistant, and wind-resistant clothing will make your time outdoors more enjoyable. It will also reduce the possibility of injury, as you are more likely to make a mistake when you are chilled and uncomfortable. Safety gear suitable for your sport is also important. Knee pads, wrist and elbow guards, are examples of equipment that will help reduce injury. Even more important is appropriate head protection, in the form of helmets. A head injury can turn a fun afternoon on the slopes or on the ice into a tragedy. Take the time to prepare yourself physically for outdoor winter fun. Physical conditioning will reduce your chances of injury. This is particularly true of the beginning of the season when many injuries occur. Aerobic exercise, strength training, and balance are aspects of fitness you should be focusing on. There are sport-specific exercises that zero in on preparing you for the sport of your choice. Avoid the weekend warrior syndrome, where you remain sedentary most of the time, then overdo it on the weekend. Always take the time for a proper warm up before doing any activity. Aim Rehabilitation Centre has the experience and knowledge to help you with training and education that will keep you safe this winter. They can assist with sport-specific training and have unique equipment to help you train for your activity. They can also provide you with a wide range of physical rehabilitation services if you should sustain an injury. After a long hard winter, it’s finally spring. You may be thinking about getting back to warm weather activities such as riding your bike, hiking in the woods, or gardening. Or, you may be looking forward to sports such as golf, soccer or baseball. It is important to keep a few things in mind before you rush out to restart your outdoor fun. Injuries can happen if you are not prepared. Before starting up a sport or activity, remember to wear proper clothing and footwear. Always warm up before beginning, take it easy at first, and gradually increase the amount of time and intensity. Overdoing it the first time out can lead to injury. Even after you are back in the swing, don’t overextend yourself; stop to rest, especially if you are feeling any pain. Ensure proper nutrition and drink enough water to stay hydrated. Basic fitness, such as aerobic exercise, strength training and flexibility are important to avoid injury and get the most out of your activity. Sport specific training can help you avoid injuries that can result from repetitive movement. When you are outside doing yard work and gardening it is easy to dismiss the strain you could be placing on your body. Warm up first with 10 – 15 minutes of walking and add some stretches for flexibility. Pay attention to proper ergonomics, particularly when lifting: keep your back straight and bend with your knees. Keep the load close to your body and turn by moving your feet, not twisting. Make sure the load is not too heavy and use a wheelbarrow for larger loads. When kneeling to weed or plant, use knee pads and keep your back straight. You can be proactive by consulting with a physical rehabilitation professional for advice on training for your sport or activity. Aim Rehabilitation Centre has health professionals to assist you in making the most of your activity while avoiding injury. 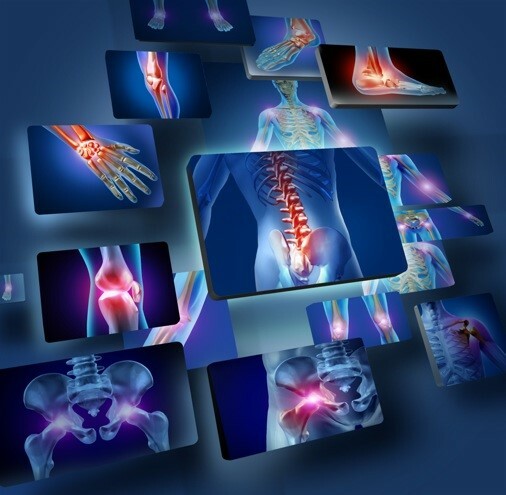 If you do sustain an injury they can provide individualized, multidisciplinary treatment for your recovery.